Erin Robertson has gone from high school dropout to MassArt student to winner of a $25,000 scholar award. Erin Robertson learned to sew in a home economics class in Utah, but her sense of style is making waves in New York. Robertson, 26, a Massachusetts College of Art and Design sophomore, won the prestigious Council of Fashion Designers of America’s CFDA/Teen Vogue Target Scholar award last month, a $25,000 prize that also served as her ticket to a star-studded awards ceremony and dinner in New York. A high-school dropout and a former dental assistant at Harvard School of Dental Medicine, Robertson was one of three MassArt sophomores whose work was submitted to the nationwide search last fall. 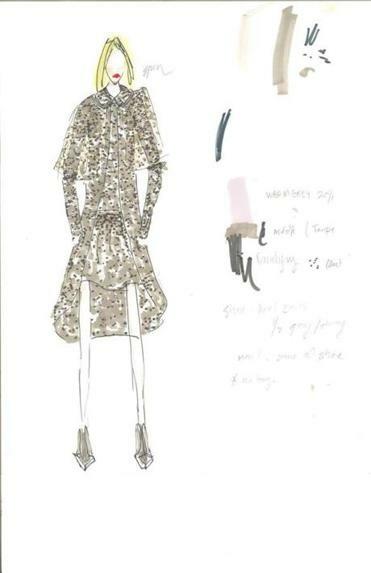 James Mason, an assistant professor in fashion illustration, told students about the contest at the beginning of the semester. Applications were submitted within weeks. Formerly for high school students, the CFDA/Teen Vogue Scholar program was opened to college sophomore fashion students in 2011. But Mason said MassArt had shied away from the competition because its freshman studio foundation year puts a heavy focus on the arts rather than design. However, despite the daunting task of creating a collection that would be judged against work by the Parsons and FIT students of the world, nearly half the sophomore fashion students stepped forth to apply. 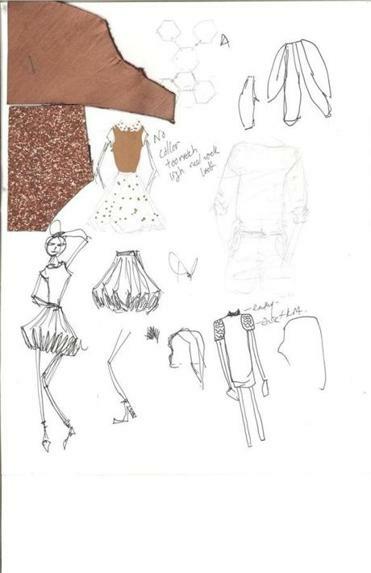 Some drawings behind Robertson’s collection, which impressed CFDA and Target representatives and Teen Vogue editors. The tasks — for the fashion-educated — were simple enough: Students would write an essay, put together a moodboard, and sketch a minimum of 10 looks. She didn’t stop there. She built a custom laser-cut box to house her submission, clasped with a honeycomb-shaped paper clip, echoing the Beehive state of Utah as her inspiration. She even designed nail art for the collection. She certainly made an impression — a very good one, at that. “I had been most impressed with Erin because the breadth and depth of her submission was very interesting,” said fashion designer Lela Rose, who sat on the selection committee alongside fellow CFDA member and jewelry designer Eddie Borgo, an elite crew of Teen Vogue editors, as well as representatives from the CFDA and Target. Robertson’s intricate honeycomb laser-cut package design was created during Hurricane Sandy with the help of a friend in Dorchester. It featured a panel made of a silk print of a Bryce Canyon photograph taken by her father, a red rock to crystal blue sky aesthetic shown clearly through the collection’s color story. Delicate bronze edging on the box is echoed in her designs. Swatches of fabric included prints created with hand-dripped Indonesian wax to imitate an evening snowfall in her home state. Post win, Robertson is letting her career path unfold at a less aggressive pace. She’s taking the summer off, rather than opting for an internship with a designer. 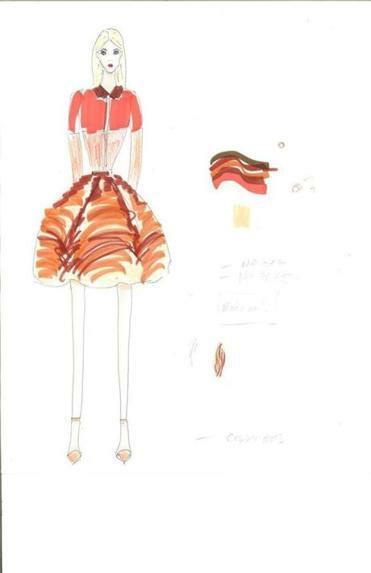 But she still plans to design before returning to school in the fall. She dreams of someday working for Dries Van Noten and admires designers with ultra cool sensibilities, counting Preen, Carven, and Ostwald Helgason, among her favorites. In the fall, she’ll continue her studies with the goal of creating a portfolio and a range of tangible pieces that she hopes will catch the eye of a design house. The competition and her win solidified her decision. While Robertson sees a move to New York in her future as a designer, she shows a lot of pride in coming from MassArt and putting down roots in Boston. Rachel Raczka can be reached at rraczka@boston.com.